I was hard on Newt, but he has convinced me…. | What do I think? I was hard on Newt, but he has convinced me…. To those who read my blog ….you know Newt really hacked me off in the past with some of his wonderings. The forward to the book that I just could not stomach, and the smooch on the couch with Pelosi. However, I was busy upholding Sarah Palin principles … who backed out, and upholding Cain principles …who was beaten down. In all that time one thing I did not seem to remember was just how staunch Newt was back in the Reagan Revolution. When I really went back, most of the criticism I had with Newt turned out the be nothing more than absolute democrat BS! What a surprise! Seems even the education expansion was the democrats who torpedoed the conservative majority congress, just like they did in 2004 and 2005 right before they took control in 2006 under George Bush and started sabotaging the country left and right. Because I was so busy defending Palin, then Cain… I did not want to hear Newt let alone remember just how conservative this guy really was, and is! The disappointment with Cain left me disinterested for quite a while ….but …those Florida primaries were coming up and I was forced to do my civic duty or not have the right to complain…. and that was not going to happen …I had to dig down and do it quickly, as time was running out for me, and Romney was NOT an option! Then I heard Cain endorse him… then I heard Palin stand for him both in Carolina and Florida, so I was forced to really study at that point…and found I had been WRONG! Newt is what we have needed all along! FLORIDIANS BOUGHT ROMNEY LIES HOOK, LINE, AND SINKER! ….this freaking NBC communist goober reading this scripted message gives me the freaking creeps! This ad ran just about every fifteen minutes on any station you tuned into and the media chimed in with more of the same to the point you could not tell where the news began and the advertisement ended! And FOX too…. But what they failed to mention was that Gingrich completely EXONERATED! 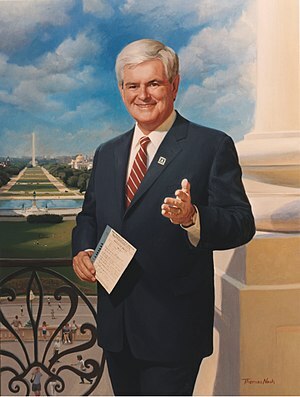 It was in grand democrat style attack mode that democrats vilified Speaker Gingrich then, just as they vilify all republicans, and were able to get unstudied congressional republicans aboard the “Hate Newt Train” in their fashionable “dog pack”! And it was all a lie from hell! Not only did they attack Newt for tax violations but were successful in getting him booted from Congress. However later he was COMPLETELY EXONERATED! Shame on you Florida! 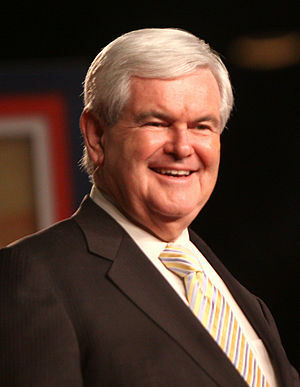 I have criticized Newt for being arrogant but I’m thinking it is time for Newt to let the arrogance fly on Romney! …once again the GOP acts just like democrats….but the truth has been recorded. Shameful: RNC Reince Priebus, Lenny Curry Make a Jackass Out of Florida Voters, AGAIN! The RNC, have its rules in WRITING and have been circulated through the populus and PEOPLE know the TRUTH as STATED BY both the state and national chairman of the RNC! Lenny Curry and Reince Priebus MUST Enforce & Follow STATED RNC Primary Rules NOW! Florida-RNC Chairman Reince Priebus and Larry Curry are dancing and pretending they did not warn Florida or were fully aware of the NO WINNER TAKE ALL Status! However it is in writing between BOTH gentleman and clearly states that A) If Florida moved its primary to the January 31 position, they would lose half the delegates, (b)No RNC member would be able to be a delegate, (C) and the delegates would be proportional, PERIOD! The proportional rule was stated clearly and was not tied to the penalty. It was freestanding! Reince emphatically states in a letter to State RNC Chairman Lenny Curry that “Winner Take ALL” States CANNOT hold a primary or caucus before April 1 2012. This self-incrimination by both gentleman indicate that now they are willfully dishonoring their own stated rules, and are making them up as they go along for pure political expedience. See the incriminating letter Click HERE! So Newt teaches a course on Constitutional Studies started in 1993, and damn communist democrats at the time accused Gingrich of using the coarse to establish a “republican cabal” (as if that was a crime)and “tax fraud”. In the same fashion as today the news media then sided with democrats and went on a witch hunt and won their prize, the ousting of yet another freedom loving republican. It is quite telling that Ronmey jumps so eagerly to use democrat crap, and Alkinsy methods of half-truths to attack his opponent. However far more telling is the gullibility of the public to swarm these half-truths as some how admirable and stick up for this goop. Seems to me the republican party is beginning their extension and is looking at the one party national rule plan and it appears it will not be the republican policies they promote either! Shame on you Florida! Thank God I did what I always do… I took the time to study before I went to pull the lever…. I actually went to all the candidates websites and actually read their plans …all were lacking … badly, except for one! Newt! he has the solutions! As one of my friends told me … Propulsion forward is measured in Newtons… I like that. I was wrong about Newt, but I am so glad I found out BEFORE…. and did the RIGHT thing by voting for him! I am only sorry I wasted my time on Palin and Cain. (yes, I still love both)… .. because the real communicator is Newt! BTW the Weekly Standard (the weakly standard) with Bill Crystal has picked up where the democrats left off in the 80’s in old dog pack style just like freaking Pelosi! from → Candidates I support!! ← Shameful: RNC Reince Priebus, Lenny Curry Make a Jackass Out of Florida Voters, AGAIN! Reblogged this on Newt Gingrich for President 2012.